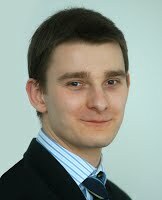 Michal Krawczyk is an independent SAP integration expert consultant. He has been working with SAP software for over 5 years, participating in IT projects in Poland, Finland, the Czech Republic, Netherlands, Switzerland and Italy, where he worked primarily with SAP NetWeaver PI, IDocs, ALE, EDI, CRM middleware and other SAP related integration technologies. He is one of the most active experts on the SAP Developer Network where he was awarded the title of TOP Contributor in the SAP Process Integration (formerly Exchange Infrastructure) area for four years (2005, 2006, 2007, and 2009). He was also awarded the SAP Mentor award from SAP Developer Network on three occasions (2007, 2008, and 2009). Krawczyk is also co-author of the book “Mastering IDoc Business Scenarios with the SAP PI" published by SAP Press.In addition to the 80 plus articles published on SDN, Krawczyk has also authored numerous articles published in various SAP professional magazines, including SAP Professional Journal, SAP CRM Expert, SAP HR Expert, SAP SCM Expert, SAP Solution Manager Expert. He holds multiple SAP certifications including Development Consultant SAP Exchange Infrastructure, SAP Certified Application Associate CRM Foundation with mySAP CRM 2005, mySAP SRM - Procurement and Development Consultant SAP NetWeaver - ABAP Workbench 2003. Michal Krawczyk also co-hosted the SAP TechEd presentation in Vienna 2009 and actively participates in demonstrations of SAP Auto-ID Infrastructure (AII). Shabarish Vijayakumar is a certified SAP integration consultant working with Wipro Technologies. For the past six years Vijayakumar’s experience with SAP has been primarily in the area of ABAP and SAP NetWeaver Process Integration (Formerly SAP Exchange Infrastructure), working in many countries including India, Canada and the UK. He has been the TOP Contributor in the area of SAP NetWeaver PI for 3 years on SAP Developer Network (SDN) and has also been a SAP Mentor for the last two years in the SAP NetWeaver PI area.Vijayakumar has been involved with integration projects in various domains such as Manufacturing, Retail, Utilities, Human Resources and is an expert in the area of Business to Business integration. He is passionate about music, photography and enjoys traveling. As an aspiring poet he also hopes to publish a collection of his poems in the near future.